This is devastating news for Instagram creeps. Soon your ex, your tinder date, or your whoever will know if you screenshot an image from their Instagram Story. You can no longer screengrab your date’s latest IG story, send the pic to your group text, and secretly discuss the merits of their morning CrossFit routine. Well, you can keep doing it, but your Insta crush is going to find out. Instagram already alerts a user if someone screenshots an image sent via DM, but this new feature will alert you if anyone screenshots something from your Story. You can calm down, though, because this feature hasn’t been rolled out yet. Instagram is still testing the function on select users’ accounts. If this goes through, Instagram will send you a warning message when you attempt to screenshot someone’s Story. To see who took a screenshot of your story, you would look at the “seen by” portion of your own Story. A similar screenshot notification has been available on Snapchat for a while, and we wonder if it had anything to do with Snapchat’s waning popularity over the couple years. However, there is another way to continue lurking and gossiping about Instagram Stories: by sending an IG story directly to someone else’s DMs. 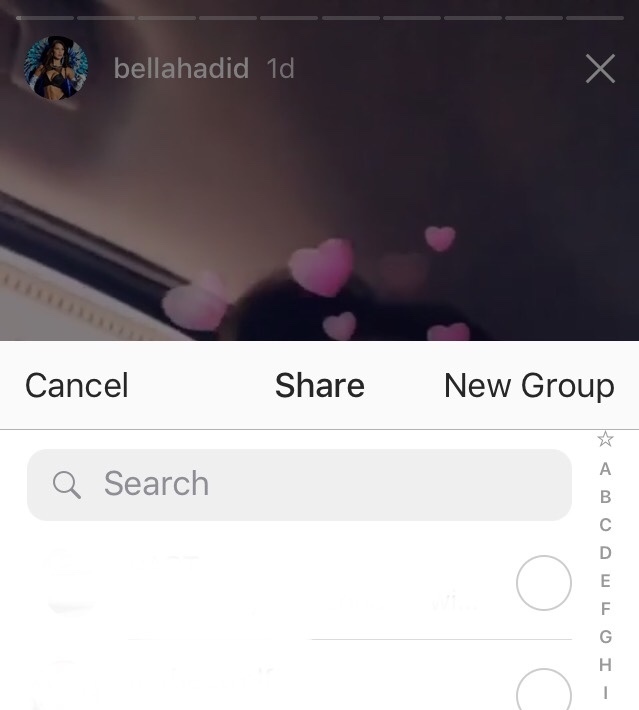 Simply click on the arrow icon at the bottom of an Insta Story and choose who to send it to. When you do this, the originator of the Story does not know that their Story has been sent to another user. Until Instagram rolls out this new feature, might as well get all those guilty-pleasure screenshots in while you can.